Tai Zi Shen Alcohol-FREE Liquid Extract, Tai Zi Shen, Pseudostellaria (Pseudostellaria Heterophylla) Root Glycerite Features and description: ALCOHOL FREE! NON GMO! GLUTEN FREE! Expertly extracted Tai Zi Shen ALCOHOL-FREE liquid extract! Tai Zi S..
Tai Zi Shen Liquid Extract, Tai Zi Shen, 太子参, Pseudostellaria (Pseudostellaria Heterophylla) Root Tincture Features and description: NON GMO! Gluten Free! Highest Strength Tai Zi Shen liquid extract! Tai Zi Shen liquid extract contains ONLY natura..
Tansy Alcohol-FREE Liquid Extract, Organic Tansy (Tanacetum Vulgare) Dried Leaf and Flowering Tops Glycerite Features and description: ALCOHOL FREE! NON GMO! GLUTEN FREE! Expertly extracted Tansy ALCOHOL-FREE liquid extract! Tansy Glycerite conta..
Tansy Liquid Extract, Organic Tansy (Tanacetum Vulgare) Dried Leaf and Flowering Tops Tincture Features and description: NON GMO! Gluten Free! Highest Strength Tansy liquid extract! Tansy liquid extract contains ONLY natural ingredients! High Qual..
Tao Ren Alcohol-FREE Liquid Extract, Tao Ren, Peach (Prunus Persica) Kernel Glycerite Features and description: ALCOHOL FREE! NON GMO! GLUTEN FREE! Expertly extracted Tao Ren ALCOHOL-FREE liquid extract! Tao Ren Glycerite contains ONLY natural in..
Tao Ren Liquid Extract, Tao Ren, 桃仁, Peach (Prunus Persica) Kernel Tincture Features and description: NON GMO! Gluten Free! Highest Strength Tao Ren liquid extract! Tao Ren liquid extract contains ONLY natural ingredients! High Quality Tao Ren liq..
Tarragon Alcohol-FREE Liquid Extract, Tarragon (Artemisia Dracunclus) Dried Leaf Glycerite Features and description: ALCOHOL FREE! NON GMO! GLUTEN FREE! Expertly extracted Tarragon ALCOHOL-FREE liquid extract! Tarragon Glycerite contains ONLY nat..
Tarragon Liquid Extract, Tarragon (Artemisia Dracunclus) Dried Leaf Tincture Features and description: NON GMO! Gluten Free! Highest Strength Tarragon liquid extract! Tarragon liquid extract contains ONLY natural ingredients! High Quality Tarragon..
Teasel Alcohol-FREE Liquid Extract, Teasel (Dipsacus fullonum) Dried Root Glycerite Features and description: ALCOHOL FREE! NON GMO! GLUTEN FREE! Expertly extracted Teasel ALCOHOL-FREE liquid extract! Teasel Glycerite contains ONLY natural ingredi..
Teasel Liquid Extract, Teasel (Dipsacus fullonum) Dried Root Tincture Features and description: NON GMO! Gluten Free! Highest Strength Teasel liquid extract! Teasel liquid extract contains ONLY natural ingredients! High Quality Teasel liquid extra.. Tension Care Alcohol-FREE Herbal Liquid Extract, Linden, Ashwagandha, Passionflower, Skullcap, St. John's Wort Glycerite Features and description: ALCOHOL FREE! NON GMO! GLUTEN FREE! Highest Strength Tension Care NON-Alco.. Tension Care NON-Alcohol Liquid Extract, Tension Relief Herbal Glycerite Features and description: ALCOHOL FREE! NON GMO! GLUTEN FREE! Highest Strength Tension Care NON-Alcohol liquid extract! Tension Care NON-Alcohol liqui.. Tension Support Liquid Extract, Linden, Oats, Passionflower, Skullcap, St. John's Wort Herbal Supplement Features and description: NON GMO! Gluten Free! Highest Strength Tension Support liquid extract! Tension Support liq..
Thuja Alcohol-FREE Liquid Extract, Thuja (Thuja Occidentalis) Dried Leaf Glycerite Features and description: ALCOHOL FREE! NON GMO! GLUTEN FREE! Expertly extracted Thuja ALCOHOL-FREE liquid extract! Thuja Glycerite contains ONLY natural ingredien..
Thuja Liquid Extract, Thuja (Thuja Occidentalis) Dried Leaf Tincture Features and description: NON GMO! Gluten Free! Highest Strength Thuja liquid extract! Thuja liquid extract contains ONLY natural ingredients! High Quality Thuja liquid extract- ..
Thyme Alcohol-FREE Liquid Extract, Organic Thyme (Thymus Vulgaris) Dried Leaf Glycerite Features and description: ALCOHOL FREE! NON GMO! GLUTEN FREE! Expertly extracted Thyme ALCOHOL-FREE liquid extract! Thyme Glycerite contains ONLY natur..
Thyme Liquid Extract, Organic Thyme (Thymus Vulgaris) Dried Leaf Tincture Features and description: NON GMO! Gluten Free! Highest Strength Thyme liquid extract! Thyme liquid extract contains ONLY natural ingredients! High Quality Thyme liquid extr..
Thyroid Care Alcohol-FREE Herbal Liquid Extract, Kelp Dried Whole Plant, Oatstraw Dried Stem and Leaf, Horsetail Dried Herb Glycerite Features and description: ALCOHOL FREE! NON GMO! GLUTEN FREE! Highest Strength Thyroid care..
Thyroid Care Liquid Extract, Kelp Dried Whole Plant, Oatstraw Dried Stem and Leaf, Horsetail Dried Herb Tincture Features and description: NON GMO! Gluten Free! Highest Strength Thyroid care liquid extract! Thyroid care liqui..
Tian Ma Alcohol-FREE Liquid Extract, Tian Ma, Gastrodia (Gastrodia Elata) Tuber Glycerite Features and description: ALCOHOL FREE! NON GMO! GLUTEN FREE! Expertly extracted Tian Ma ALCOHOL-FREE liquid extract! Tian Ma Glycerite contains ONLY natura..
Tian Ma Liquid Extract, Tian Ma, 天麻, Gastrodia (Gastrodia Elata) Tuber Tincture Features and description: NON GMO! Gluten Free! Highest Strength Tian Ma liquid extract! Tian Ma liquid extract contains ONLY natural ingredients! High Quality Tian Ma..
Tian Men Dong Alcohol-FREE Liquid Extract, Tian Men Dong, Asparagus (Asparagus Cochinchinensis) Root Glycerite Features and description: ALCOHOL FREE! NON GMO! GLUTEN FREE! Expertly extracted Tian Men Dong ALCOHOL-FREE liquid extract! Tian Men Do..
Tian Men Dong Liquid Extract, Tian Men Dong, 天冬, Asparagus (Asparagus Cochinchinensis) Root Tincture Features and description: NON GMO! Gluten Free! Highest Strength Tian Men Dong liquid extract! Tian Men Dong liquid extract contains ONLY n..
Tian San Qi Alcohol-FREE Liquid Extract, Tian San Qi (Radix Pseudoginseng) Dried Root Glycerite Features and description: ALCOHOL FREE! NON GMO! GLUTEN FREE! Expertly extracted Tian San Qi ALCOHOL-FREE liquid extract! Tian San Qi Glycerite contai..
Tian San Qi Liquid Extract, Tian San Qi (Radix Pseudoginseng) Dried Root Tincture Features and description: NON GMO! Gluten Free! Highest Strength Tian San Qi liquid extract! Tian San Qi liquid extract contains ONLY natural ingredients! High Quali..
Ting Li Zi Alcohol-FREE Liquid Extract, Ting Li Zi, Lepidium (Lepidium Apetalum) Seed Glycerite Features and description: ALCOHOL FREE! NON GMO! GLUTEN FREE! Expertly extracted Ting Li Zi ALCOHOL-FREE liquid extract! Ting Li Zi Glycerite contains..
Ting Li Zi Liquid Extract, Ting Li Zi, 葶苈子, Lepidium (Lepidium Apetalum) Seed Tincture Features and description: NON GMO! Gluten Free! Highest Strength Ting Li Zi liquid extract! Ting Li Zi liquid extract contains ONLY natural ingredients! High Qu..
Tongkat Ali Alcohol-FREE Liquid Extract, Tongkat Ali (Eurycoma Longifolia ) Dried Root Glycerite Features and description: ALCOHOL FREE! NON GMO! GLUTEN FREE! Expertly extracted Tongkat Ali ALCOHOL-FREE liquid extract! Tongkat Ali Glycerite conta..
Tongkat Ali Liquid Extract, Tongkat Ali (Eurycoma Longifolia ) Dried Root Tincture Features and description: NON GMO! Gluten Free! Highest Strength Tongkat Ali liquid extract! Tongkat Ali liquid extract contains ONLY natural ingredients! High Qual.. Tonic of Emperor Alcohol-FREE Herbal Liquid Extract, Organic Dried Shiitake, Maitake, Cordiceps, Reishi Mushrooms Glycerite Features and description: ALCOHOL FREE! NON GMO! GLUTEN FREE! Highest Strength Shiitake, Maitake, Cor..
Tonka Alcohol-FREE Liquid Extract, Tonka (Dipteryx odorata) Dried Beans Glycerite Features and description: ALCOHOL FREE! NON GMO! GLUTEN FREE! Expertly extracted Tonka ALCOHOL-FREE liquid extract! Tonka Glycerite contains ONLY natural ingredients..
Tonka Liquid Extract, Tonka (Dipteryx odorata) Dried Beans Tincture Features and description: NON GMO! Gluten Free! Highest Strength Tonka liquid extract! Tonka liquid extract contains ONLY natural ingredients! High Quality Tonka liquid extract - ..
Torreya Liquid Extract, Dried nut (Torreya Grandis) Alcohol-Free Glycerite Features and description: NON GMO! Gluten Free! We made this Torreya liquid extract using ONLY natural ingredients! This extract does not contain Alcohol, GMO, gluten, art..
Torreya Liquid Extract, Dried nut (Torreya Grandis) Tincture Features and description: NON GMO! Gluten Free! We produced this extract using a cold maceration method of extraction to ensure that the broad spectrum of therapeutic plant compounds - v..
Tou Gu Cao Alcohol-FREE Liquid Extract, Tou Gu Cao, Speranskia (Speranskia Tuberculata) Herb Glycerite Features and description: ALCOHOL FREE! NON GMO! GLUTEN FREE! Expertly extracted, Super concentrated Tou Gu Cao ALCOHOL-FREE liquid extract! To..
Tou Gu Cao Liquid Extract, Tou Gu Cao, 透骨草, Speranskia (Speranskia Tuberculata) Herb Tincture Features and description: NON GMO! Gluten Free! Highest Strength, Super concentrated Tou Gu Cao liquid extract! Tou Gu Cao tincture contains ONLY natural..
Tribulus Alcohol-FREE Liquid Extract, Tribulus (Tribulus Terrestris) Dried Fruit Glycerite Features and description: ALCOHOL FREE! NON GMO! GLUTEN FREE! Expertly extracted Tribulus ALCOHOL-FREE liquid extract! 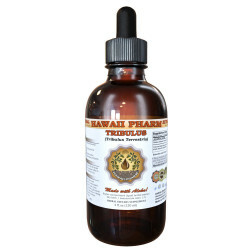 Tribulus Glycerite contains ONLY nat..
Tribulus Liquid Extract, Tribulus (Tribulus Terrestris) Dried Fruit Tincture Features and description: NON GMO! Gluten Free! Highest Strength Tribulus liquid extract! Tribulus liquid extract contains ONLY natural ingredients! High Quality Tribulus..
Trichosanthis Liquid Extract, Dried root (Trichosanthes Kirilowii) Alcohol-Free Glycerite Features and description: NON GMO! Gluten Free! We made this Trichosanthis liquid extract using ONLY natural ingredients! This extract does not contain Alco..
Trichosanthis Liquid Extract, Dried root (Trichosanthes Kirilowii) Tincture Features and description: NON GMO! Gluten Free! We produced this extract using a cold maceration method of extraction to ensure that the broad spectrum of therapeutic plan..
Triphala Blend Alcohol-FREE Herbal Liquid Extract, Amlaki, Haritaki and Bibhitaki Glycerite Features and description: ALCOHOL FREE! NON GMO! GLUTEN FREE! Highest Strength Triphala NON-Alcohol liquid extract! Triphala NON-Alcohol liquid extract co..
Triphala Liquid Extract, Organic Triphala Blend Tincture Features and description: NON GMO! Gluten Free! Highest Strength Triphala liquid extract! Triphala liquid extract contains ONLY natural ingredients! High Quality Triphala liquid extract- we ..
Tu Fu Ling Alcohol-FREE Liquid Extract, Tu Fu Ling, Glabrous Greenbrier (Smilax Glabra) Root Glycerite Features and description: ALCOHOL FREE! NON GMO! GLUTEN FREE! Expertly extracted Tu Fu Ling ALCOHOL-FREE liquid extract! Tu Fu Ling Glycerite c..
Tu Fu Ling Liquid Extract, Tu Fu Ling, 土茯苓, Glabrous Greenbrier (Smilax Glabra) Root Tincture Features and description: NON GMO! Gluten Free! Highest Strength Tu Fu Ling liquid extract! Tu Fu Ling liquid extract contains ONLY natural ingredients! ..
Tu Si Zi Liquid Extract, Dried seed (Cuscuta Chinensis) Alcohol-Free Glycerite Features and description: NON GMO! Gluten Free! We made this Tu Si Zi liquid extract using ONLY natural ingredients! This extract does not contain Alcohol, GMO, gluten..